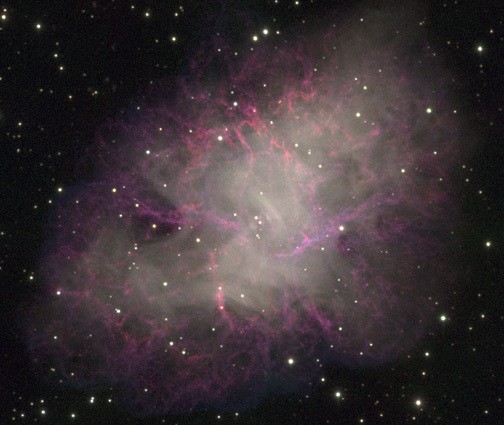 A new color image of the Crab Nebula taken with the University of Hawaii 88-inch telescope on Mauna Kea. This is a slightly cropped mosaic of CCD frames taken through B (blue), V (green), and R (red) filters. The image was color balanced so that the Sun would appear white. The resolution is approximately 0.8 arcsec FWHM. The red filaments are hydrogen gas shining by recombination radiation. 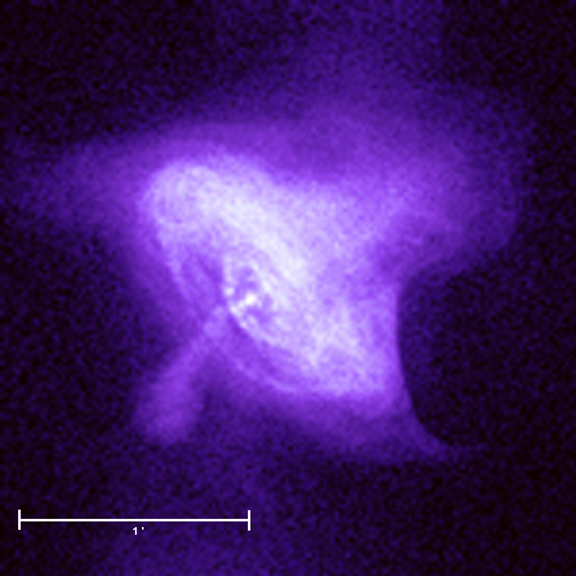 The smooth light distribution is synchrotron radiation emitted by electrons moving in the magnetic field of the nebula. 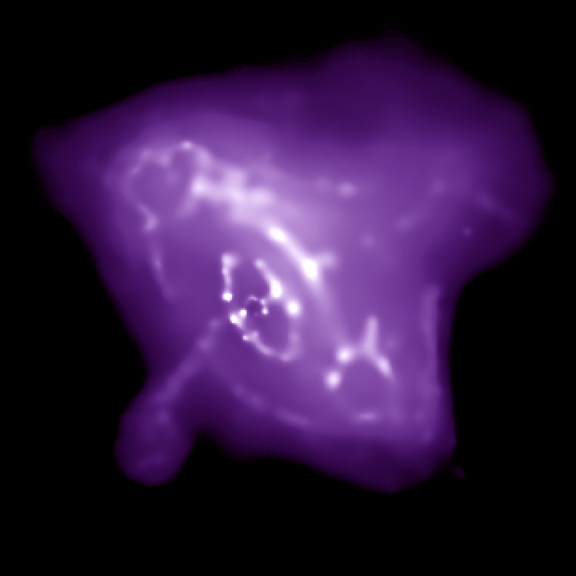 The nebula is substantially reddened by interstellar absorption (the V-band absorption is about 1.5 magnitudes). The neutron-star pulsar whose explosion as a supernova in 1054 AD created the nebula is the lower-right of the two fairly bright stars nearest the center. Left of the nebula and slightly above center, the short blue streak is the asteroid 1880 McCrosky. It happened to be moving through the field when the blue image was taken, but had passed when the green and red images were taken.